VITO MAYNES is one of ten musically inclined siblings. 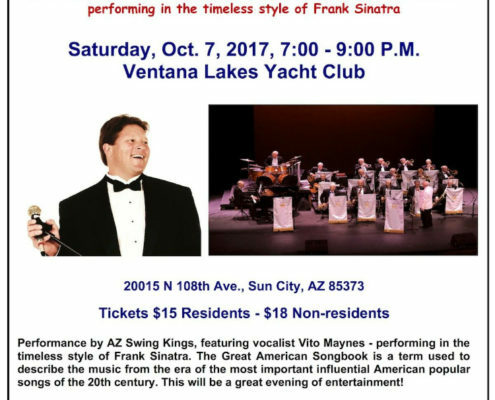 He performs in the timeless style of Frank Sinatra and has been involved in music most of his life. 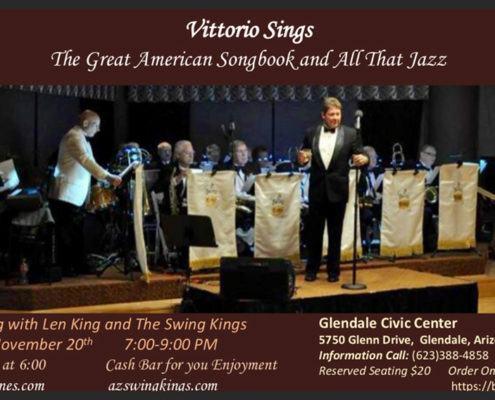 Vito has experience in a wide variety of musical styles, but among all the different types of music he had experimented with, Big Band was the genre that he connected with the most. Vito has recently released his second full-length album entitled ‘Love is Better Than a Dream’. 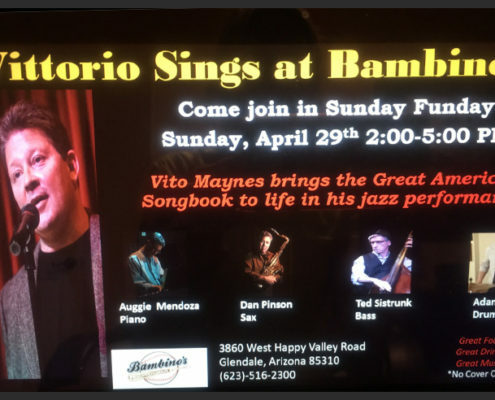 Join Vito and Friends April 29th at Bambinos! http://vitomaynes.com/wp-content/uploads/2018/04/2018-April-show.jpg 492 837 Vito http://vitomaynes.com/wp-content/uploads/2016/07/FINAL-2.png Vito2018-04-21 09:37:062018-04-21 09:38:15Join Vito and Friends April 29th at Bambinos! Interested in booking Vito and his band for an event?